Most of the Ehlmann Research Group is attending the 2019 Lunar and Planetary Science Conference in The Woodlands, TX and is giving 8 oral and 6 poster presentations. 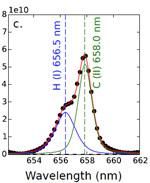 Dr. Jennifer Buz's paper on the photometric properties of potential calibration targets for the Mastcam-Z instrument on the Mars 2020 rover has been published in Optical Engineering. 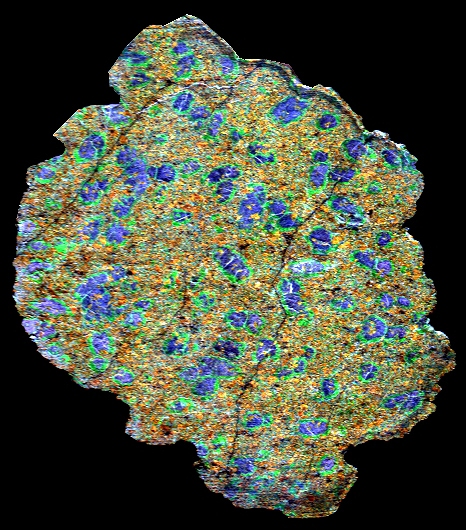 The first beta version of the global CTX mosaic of Mars, built by Jay Dickson, is now available from the Murray Lab. Every pixel is linked directly to the original data. 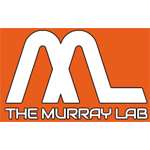 The Murray Lab is launching the new Mars Data Browser, built by recent PhD graduate, Daven Quinn. Robin Wordsworth at Harvard, Bethany Ehlmann, and colleagues have published a brief commentary in Nature Geoscience discussing the key questions and key measurements for solving the early Mars climate conundrum. Ellen Leask's new paper in Geophysical Research Letters has received press coverage from Caltech and ScienceNews. 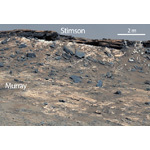 A paper by Ellen Leask and others published in Geophysical Research Letters presents a new artifact in CRISM data and calls into question some previous results identifying minerals that occur in single or few-pixel areas on Mars, including reports of perchlorates detected from orbit. Bethany Ehlmann, Elena Amador, and Eva Scheller presented at the Fourth Landing Site Workshop for the Mars 2020 Rover Mission advocating for selection of the NE Syrtis and Midway landing sites. William Rapin has won an award for the best paper published in 2017 in Spectrochimica Acta B: Atomic Spectroscopy. 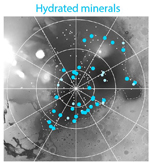 The title is Quantification of Water Content by Laser Induced Breakdown Spectroscopy on Mars. 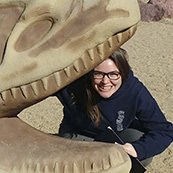 A review paper by Bethany Ehlmann and others, "Paleo-Rock-Hosted Life on Earth and the Search on Mars: a Review and Strategy for Exploration," has been submitted to Astrobiology and is available on arXiv. A paper by Nancy Thomas has been published in the Journal of Geophysical Research: Planets with a new laboratory calibration to determine H concentrations with the ChemCam instrument on Mars and estimates of bedrock and vein H content. 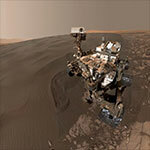 A paper by William Rapin has been published in the Journal of Geophysical Research: Planets on the water content of opal in Gale crater, Mars, using data from the ChemCam instrument on the MSL Curiosity rover. Bethany Ehlmann, Rebecca Greenberger, and Elena Amador are headed to Japan to scan 1.7 km of core from Phase 2 of the Oman Drilling Project with our imaging spectrometer aboard the drilling vessel Chikyu. 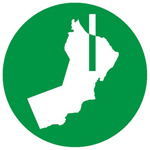 Follow their progress on Twitter. 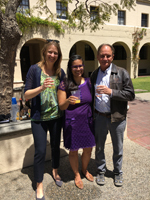 Postdoc Elena Amador has won an award for best planetary science poster at the annual JPL Postdoc Research Day. 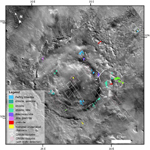 A paper by Lulu Pan and Bethany Ehlmann has been published in the Journal of Geophysical Research: Planets on the diverse mineralogy of Lyot crater in the northern lowlands of Mars. 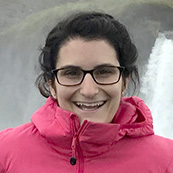 Graduate student Eva Scheller has been awarded a NASA Earth and Space Science Fellowship for her work "Composition, Geological History, and Impact Deformation of Noachian Basement in the Surroundings of the Isidis Impact Basin." 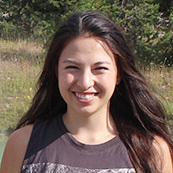 Graduate student Ellen Leask has received a Dwornik Award honorable mention for her poster “New possible CRISM artifact at 2.1 micrometers and implications for orbital mineral detections” at the 2018 Lunar and Planetary Science Conference. 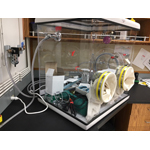 Our controlled atmosphere environment chamber is fully setup and operational in the lab. 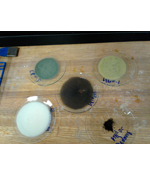 We are currently measuring reduced samples under anoxic conditions but can accommodate any inert gas. 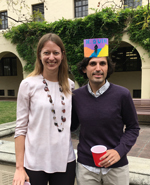 Congratulations to Dr. Peter Buhler, who successfully defended his PhD, “Measuring and Modeling the Interplay between Planetary Orbits, Interiors, Surfaces, and Atmospheres!” He is headed to JPL for a postdoc. Congratulations to Dr. Daven Quinn, who successfully defended his PhD, “The Regional Structural Geology of Earth and Mars!” He is headed to University of Wisconsin Madison for a postdoc. 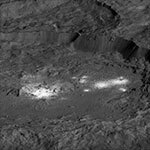 Lab experiments putting ammonium in clay minerals and meteorites show that ammonium-bearing fluids may have interacted with the asteroid Ceres long ago. 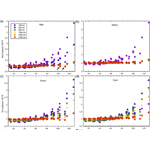 Results by Ehlmann et al. 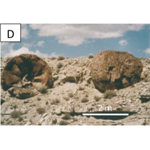 are published in Meteoritics and Planetary Science. 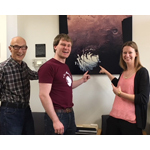 Congratulations to Dr. Jennifer Buz, who successfully defended her PhD, “Macro Mars to Micro Mars: Mapping Minerals and Magnetization!” She is headed to Northern Arizona University for a postdoc. Two Ehlmann group e-posters from the Lunar and Planetary Science Conference are available: Mars Nano Orbiter CubeSats proposed to NASA by Ehlmann et al. 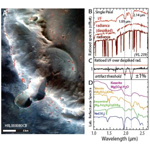 and micro-imaging spectroscopy of Mars meteorites by Cutts et al. 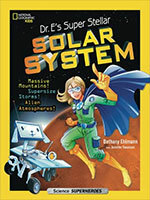 Bethany Ehlmann's new children's book Dr. E's Super Stellar Solar System released. The Bagnold Dunes special issue is published, describing Curiosity's explorations of Martian sand dunes. Nathan Stein's AGU press conference on the discovery and distribution of bright spots on Ceres. Bethany Ehlmann and Deanne Rogers on why we study sands on Mars and new results from the Bagnold Dunes of Gale Crater, in Eos. Nathan's Stein's Icarus paper on the global mapping of bright spots and brines on Ceres published. 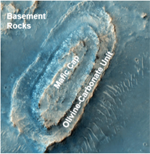 Congratulations to Dr. Lu Pan on her Journal of Geophysical Research publication on impact craters in the Northern Plains of Mars, an Editor's Highlight!